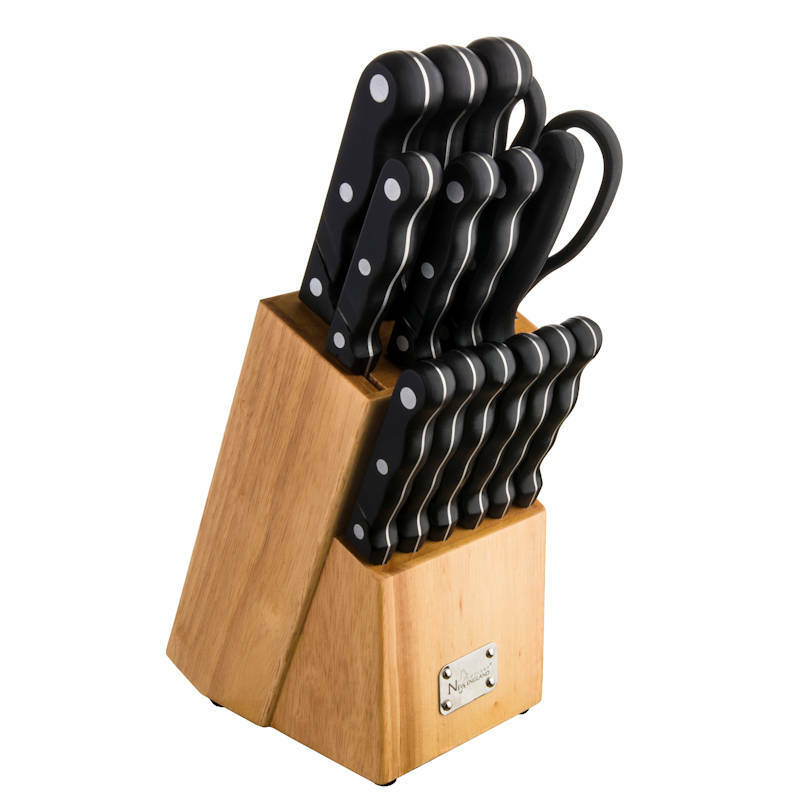 A great choice for upscale corporate housing and furnished hospitality properties, the Premium 15 piece Knife Block Sets with Shears have a blade for every kitchen need. 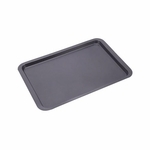 Thick Bakelite handles with finger safety stops ensure a comfortable grip. Designed to last with full tang blades and triple rivet construction looks and functions wonderfully. A sharpening tool also ensures that your guest always have the sharpest knives. The high quality wooden block attractively and conveniently houses all the pieces of the set for quick and easy use. Available for wholesale purchase by the case of 4 knife block sets with Free Shipping on all orders. Full Tang Blades (run full length of handle) and Triple Rivet Handle Construction ensures long-lasting durability. Thick Bakelite Handles with Safety Finger Stops for safe, comfortable cutting and chopping. Santoku Knife - Slicer, Dicer & Chopper - The Santoku Knife combines the features of several Chef's knives into one to provide an excellent knife for cutting meat, fish and vegetables. Built-in oval hollows in the blades keep food from sticking while slicing, dicing and mincing. 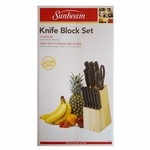 Premium Quality Wooden Block attractively organizes and conveniently stores knives for quick use. Sharpening Steel for keeping knife blades chef sharp. Hand Wash only - Dish washer not recommended.